What Should You Do When Your Mattress Gets Wet? When anybody wets the bed, the first thought which occurs to your mind that your mattress is ruined. It is probably because now, the Mattress Smells like Urine that is obvious because the worst part of the urine on the mattress is that the Urine Odour is something which ruins the mattress in many ways and it is really hard to make it go away. You are bound to think that the urine odour won’t go away. However, if you want to know how to remove Urine Odour from the mattress, here is the quick fix for you. 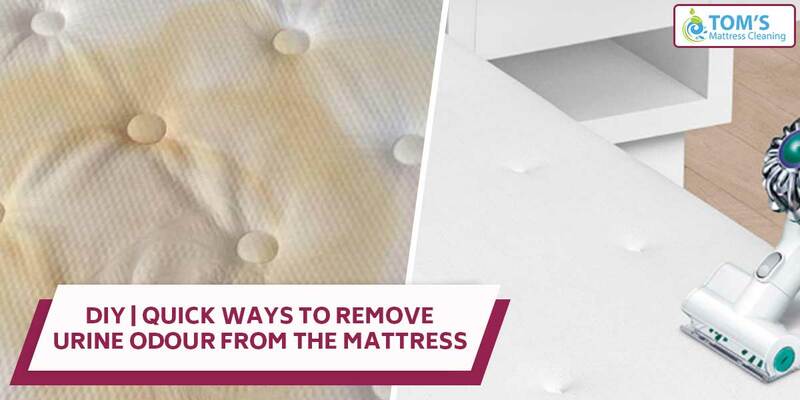 First of all, all you need to do is to remove the upper cover of the mattress and wash it normally with a detergent powder and add baking soda to it too to make the smell vanish. It doesn’t take a lot of effort, yet you should know how to do it in the proper way. However if still, the Mattress Smells like Urine, just cover the mattress with a towel and keep it covered in baking soda for about 10 minutes. Now, vacuum away the baking soda and it would be fine in some time. Mix the liquid dish wash in a small bowl, add 1 tablespoon of vinegar, 2 cups of cool water and make it thick. Use a washcloth, dip the cloth into the water using the cloth, apply it with a little motion against the mattress. However note that if you press it too hard, the urine might be soaked by the mattress, which might be even hard to remove. Just keep doing it till all the liquid is absorbed. Now, keep doing it till the urine stain disappears and still if the stain doesn’t go away, try below cleaning method. In a bowl, mix hydrogen peroxide, ammonia, warm water and a clean towel, now start doing the same as you did with the light cleaning solution ingredients. After that, sponge the mattress with cold water and let it dry. Even if nothing works out for you, then take it out to the Sun and let it dry. Try the methods above and let us know if they work for you or not. After you put it back on, it should have a nice smell. To get more information on mattress cleaning call Toms Mattress Cleaning Melbourne service provider on 1300 068 194.